Chinese authorities have indefinitely closed the base camp of its side of Mount Everest to visitors, state media reported. The Everest base camp in Tibet will be closed to visitors without a climbing permit until further notice as part of efforts to clean up the garbage that has accumulated at the site. 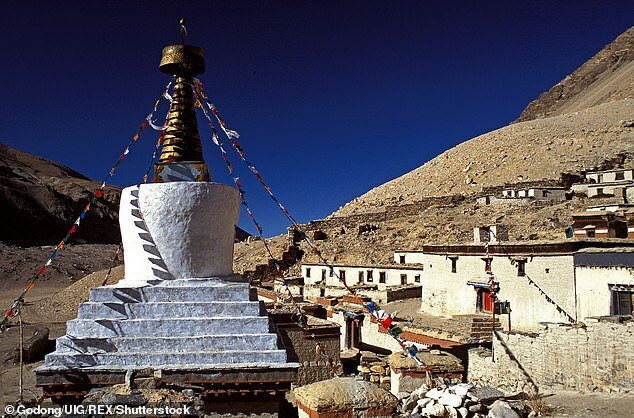 Ordinary tourists can only go as far as Rongbuk monastery which is slightly below the 5,200m (17,060ft) base camp level. Those with climbing permits would be allowed to go to the base camp or higher, according to Xinhua News Agency. 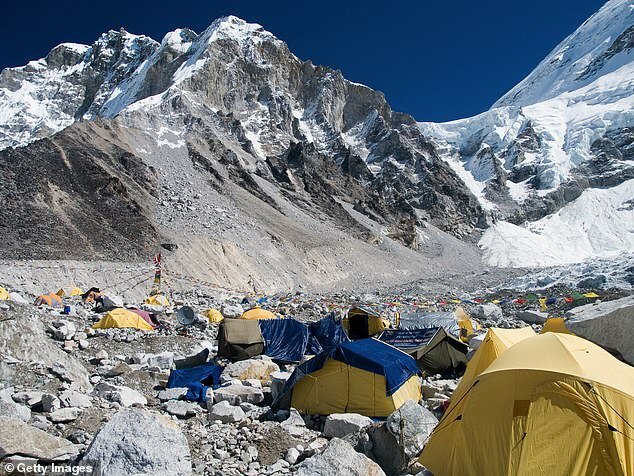 The Chinese base camp is gaining popularity among mountaineers as it is accessible by car, whereas the Nepalese camp can only be reached by a two-week hike. 'The core area will be closed for tourism for an indefinite period, mainly for ecological conservation,' Tang Wu, from the tourism commission of Tingri county, told video news site Pear. 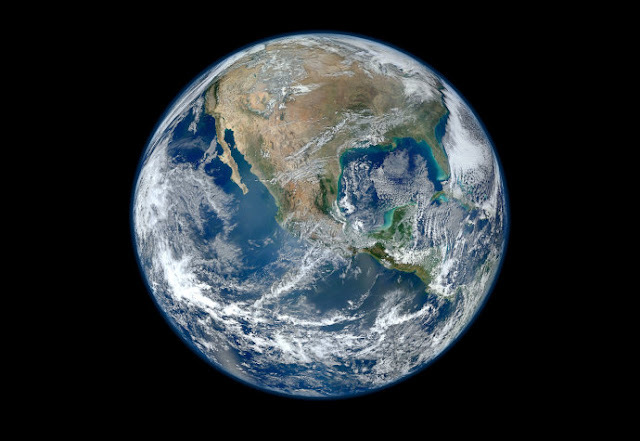 The 'core area' refers to the section over 5,200 metres above sea level. The official announcement about the closure was made in December. It stated that three clean-up operations last spring had collected 8.4 tonnes of rubbish from the key area, including human faeces and mountaineering equipment climbers had left behind. Authorities have been implementing major clean-ups on the world's highest peak as the number of visitors increases. Parts of Everest are in China and Nepal. The Chinese Mountaineering Association said 40,000 visited its base camp in 2015. A record 45,000 visited Nepal's base camp between 2016 and 2017, according to Nepal's Ministry of Forests and Soil Conservation. China has set up stations to sort, recycle and break down garbage from the mountain, which includes cans, plastic bags, stove equipment, tents and oxygen tanks. 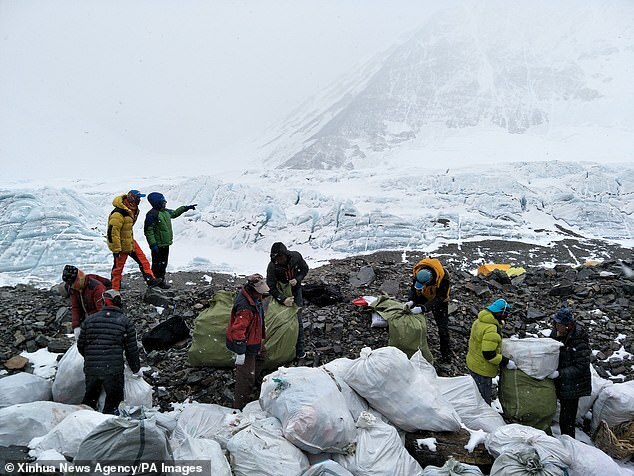 On the Nepalese side, mountaineering expedition organisers have begun sending huge trash bags with climbers during the spring climbing season to collect trash that then can be winched by helicopters back to the base camp. This year's clean-up efforts will include the recovery of the bodies of climbers who died at more than 8,000m (26,246ft) up the mountain's 'death zone', where the air is too thin to sustain human life. In 2017, 648 people reached the top of Everest, including 202 from the Chinese north side, according to the non-profit Himalayan Database. Six people were confirmed to have died on the mountain that year, one of them on the north side.